According to a report Monday night, one of the UFC's new acquisitions will see his Octagon debut come in the first month of 2019 against a former UFC champion, no less. 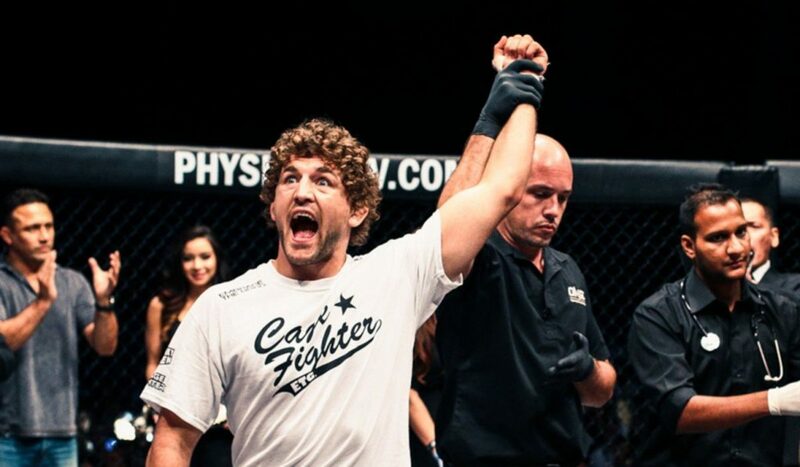 First reported by ESPN's Brett Okamoto, former Bellator and ONE welterweight champion Ben Askren has agreed to face former UFC welterweight champion and fan favorite Robbie Lawler at UFC 233 on January 26th at Anaheim, CA's Honda Center -- the company's first PPV of the new year. Okamoto said the deals aren't signed yet, but that both sides are working on getting it finalized. At one point, a rumor had Lawler linked up with former title contender Stephen "Wonderboy" Thompson for the promotion's first event on ESPN+. The 34-year-old Askren is undefeated (18-0-0-1) and has been retired since he defeated Shinya Aoki in less than a minute in November 2017. The 36-year-old Lawler has been on the shelf mending injuries since he was dominated by Rafael dos Anjos in December 2017. The former champion has lost two of his last three. While never officially announced following the "trade" that brought his contract to the UFC and Demetrious Johnson's contract to ONE, Askren was present at Saturday's UFC 230 in New York City and did a media scrum where he called out a slew of fighters. The show will also go head to head with Bellator's heavyweight championship Grand Prix finals at the Forum in Inglewood, CA.